Pounding, throbbing, stabbing, aching - welcome to the world of headaches, an ailment that affects more than 45 million Americans each year. Humans have been suffering from the malady for millennia. Recorded depictions date back to at least 4000 B.C. in Mesopotamia, where it was thought that Tiu, the evil spirit of headaches, was to blame. The shenanigans of evil spirits were assumed to be the cause of headaches throughout many cultures, and gave rise to trephination - a procedure in which a small circular portion of the skull was removed, creating egress for the pain-triggering spirits. Given how agonizing a headache can be, rowdy evil spirits wreaking havoc doesn't seem all that much of a stretch. Fortunately we know better now, and in most cultures no longer rely on holes drilled in the head for relief. But if not evil sprits, what does cause the pain? There are many catalysts that can create the ache, and medical literature has complied a lengthy compendium of causes. Culled from several sources, below is a summary of the most common triggers for migraine, cluster, rebound and tension headaches. Some of them you may be familiar with, but there is no shortage of surprising ones. 43. Overuse of common prescription or over-the-counter pain medication: Half of chronic migraines, and as many as 25 percent of all headaches, are actually "rebound" episodes triggered by the overuse of common pain medications. 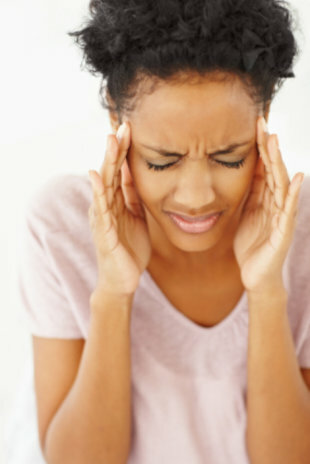 Serious causes of headaches are rare, but sometimes headaches warn of a more severe disorder. The National Institutes of Health recommends letting your health care provider know if you have sudden, severe headaches. Get medical help right away if you have a headache after a blow to your head, or if you have a headache along with a stiff neck, fever, confusion, loss of consciousness or pain in the eye or ear. Have you determined something surprising that causes headache for you? Share with us in the comments. Can Foods Actually Boost Your Mood?